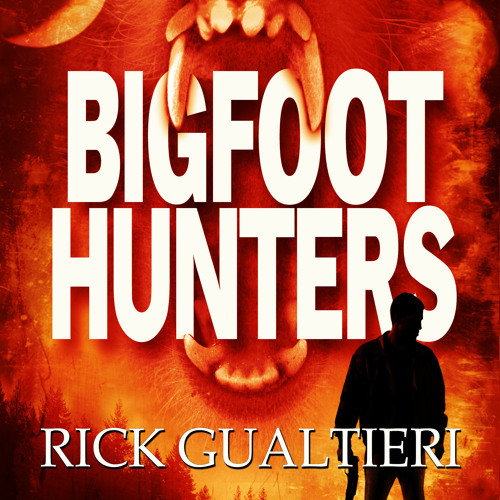 Sample for the audiobook of Bigfoot Hunters by Rick Gualtieri. Narrated by Charlie Romanelli. ********** Evolution is about to be kicked in the teeth by some very large feet. When Harrison Kent suggests a camping trip to the dense forests of Colorado, his friends are all eager for a few days of fun and adventure. What awaits them, though, is far more than they ever bargained for. They learn that Sasquatch is real, but these are not the shy creatures that legends speak of. A madness has claimed them, erasing their once peaceful nature and leaving in its place a ravenous horde of monsters that's about to descend upon the unsuspecting residents of a remote town. The woods hold more than one secret, however. A low budget reality show is filming in the area and they have information that could even the odds. It's a desperate last stand against bloodthirsty beasts, but if Harrison and his friends can survive long enough, they might just be able to reclaim mankind's place atop the food chain.